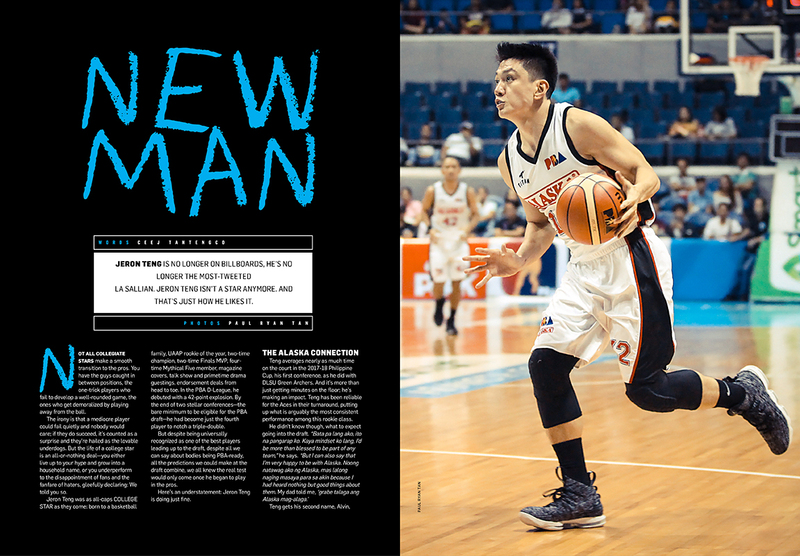 This article appears in SLAM 214, out now in all Titan outlets and major bookstores. La Sallian. Jeron Teng isn’t a star anymore. And that’s just how he likes it. Not all collegiate stars make a smooth transition to the pros. You have the guys caught in between positions, the one-trick players who fail to develop a well-rounded game, the ones who get demoralized by playing away from the ball. The irony is that a mediocre player could fail quietly and nobody would care; if they do succeed, it’s counted as a surprise and they’re hailed as the lovable underdogs. But the life of a college star is an all-or-nothing deal—you either live up to your hype and grow into a household name, or you underperform to the disappointment of fans and the fanfare of haters, gleefully declaring: We told you so. Jeron Teng was as all-caps COLLEGE STAR as they come: born to a basketball family, UAAP rookie of the year, two-time champion, two-time Finals MVP, four-time Mythical Five member, magazine covers, talk show and primetime drama guestings, endorsement deals from head to toe. 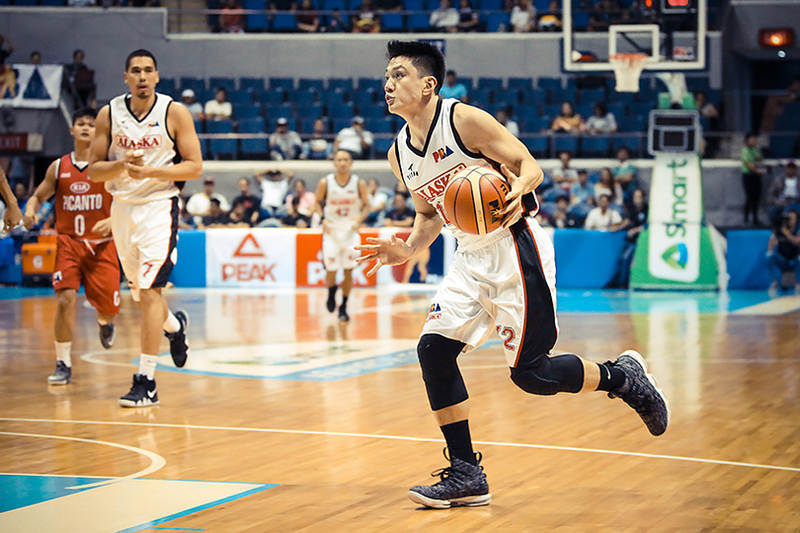 In the PBA D-League, he debuted with a 42-point explosion. 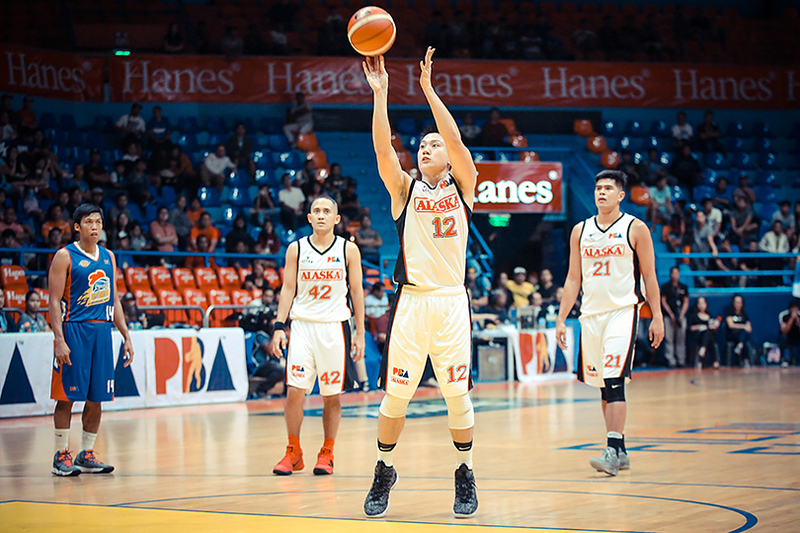 By the end of two stellar conferences—the bare minimum to be eligible for the PBA draft—he had become just the fourth player to notch a triple-double. But despite being universally recognized as one of the best players leading up to the draft, despite all we can say about bodies being PBA-ready, all the predictions we could make at the draft combine, we all knew the real test would only come once he began to play in the pros. Here’s an understatement: Jeron Teng is doing just fine. Teng averages nearly as much time on the court in the 2017-18 Philippine Cup, his first conference, as he did with DLSU Green Archers. And it’s more than just getting minutes on the floor; he’s making an impact. Teng has been reliable for the Aces in their turnaround, putting up what is arguably the most consistent performance among this rookie class. Teng gets his second name, Alvin, from his dad. The Aces were Alvin’s last team before the bruiser of a player dubbed “Robocop” retired in 2002, after 14 seasons in the PBA. “That’s also why it’s meaningful to me,” explains Jeron. A lot of that, Teng believes, starts with their head coach Alex Compton. The former player is one of the warmest guys in the league, a family man (he regularly plays games with the press where he asks them to guess the spelling of his children’s Irish names), and a key mover for youth basketball in the Philippines with the National Basketball Training Center. “Si Coach Alex, naging coach ko na siya sa NBTC in high school. At the time na nagpa-practice ako sa kanya at kay Coach Eric Altamirano, mga early years pa ‘yun ng high school at hindi pa ako standout player. Sa kaniya ako na-develop sa skills,” shares Teng. Compton, meanwhile, has praised Teng in several post-game press conferences for being coachable and humble despite his background as a UAAP star. The coach is quick to remind people that Teng, like any player, won’t always be putting up highlight numbers; what matters more, he says is Teng’s “sincere hunger and sincere humility” to grow as a professional player. When it comes to rookie roundups, Teng’s name is constantly mentioned in the same breath as the league’s other most impressive freshman, Kiefer Ravena. The two have been pitted against each other since their days leading the De La Salle Green Archers and Ateneo Blue Eagles in the UAAP. Their careers have mirrored each other’s in many ways, even leading their respective squads to top seeds in the draft combine. Imagine a future where both Teng and Ravena hit their peaks in the PBA and find themselves teammates once again. Imagine a future where die-hard La Salle fans and true blue Ateneans must cheer for the same team on a weekly basis. We’re with Teng here—that doesn’t sound bad at all. One thing both Teng and Ravena know all too well: the haters. When you have college careers like theirs, a segment of basketball fans inevitably roots against your professional success, or at the very least tries to predict your decline. The two have heard it all, in both the arenas and in the comments of their social media profiles, being told everything from overrated to mag-artista ka na lang, after a loss. Call it envy, call it people getting desensitized to your talent. Teng’s got thick enough skin to take it. “You always want to prove your doubters wrong,” says Teng. “You do that by getting better.” After all, everybody knows the PBA is a different level. The last people you need to remind are players like Teng, who live the challenge. The “Jeron Has No J” haters need to take a time machine back to his college days, because the pro-grade Teng has since proven consistent from mid-range. 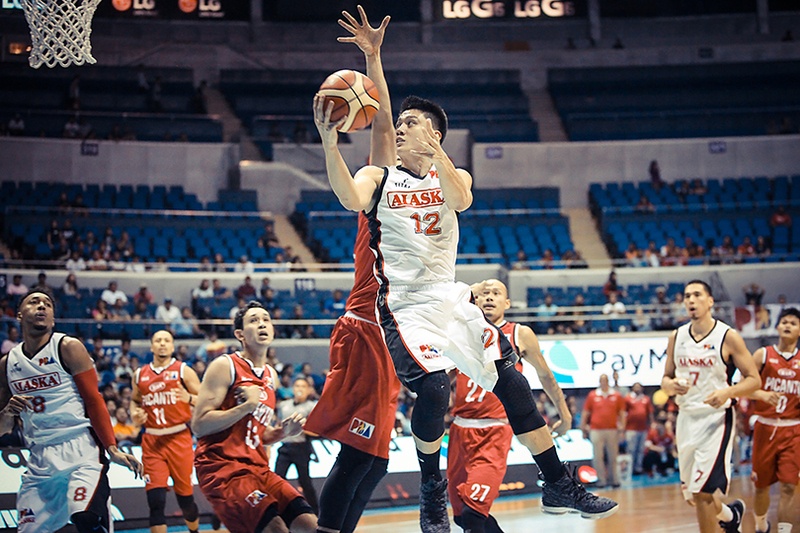 Those extra shots also paid off when Teng buried a crucial late-game three in their win against Blackwater Elite. After his stint with Chooks To Go Pilipinas in last year’s FIBA 3×3 World Cup in France, he had asked Coach Chot Reyes if he could try out for the Gilas Pilipinas lineup that would be sent to the 2017 SEA Games in Kuala Lumpur. After all, his 3×3 teammates Ravena and Kobe Paras had already been confirmed for the pool. Reyes told Teng that his chances were slim, that the accreditation list had already been submitted a month before Teng voiced interest in joining the lineup, but he was welcome to practice with the team. Teng took Reyes up on that offer, and continued to practice with Gilas and support the national team’s cause even when it became final that he would not be making the lineup. It isn’t lost on Teng that a new generation of basketball fans will see him for the first time in the PBA, without ever having watched his college games. To them, Jeron Teng the Green Archer does not matter; his previous achievements bear no weight, nor offer him any leeway. What matters is who he is today, and what he makes of himself tomorrow.